Mission Nutrition is a program designed to engage children at school and at home in healthy eating, physical activity and positive self-esteem. The program features entertaining ways to explore and foster healthy living habits through a series of curriculum-based resources for students in kindergarten to grade 8. 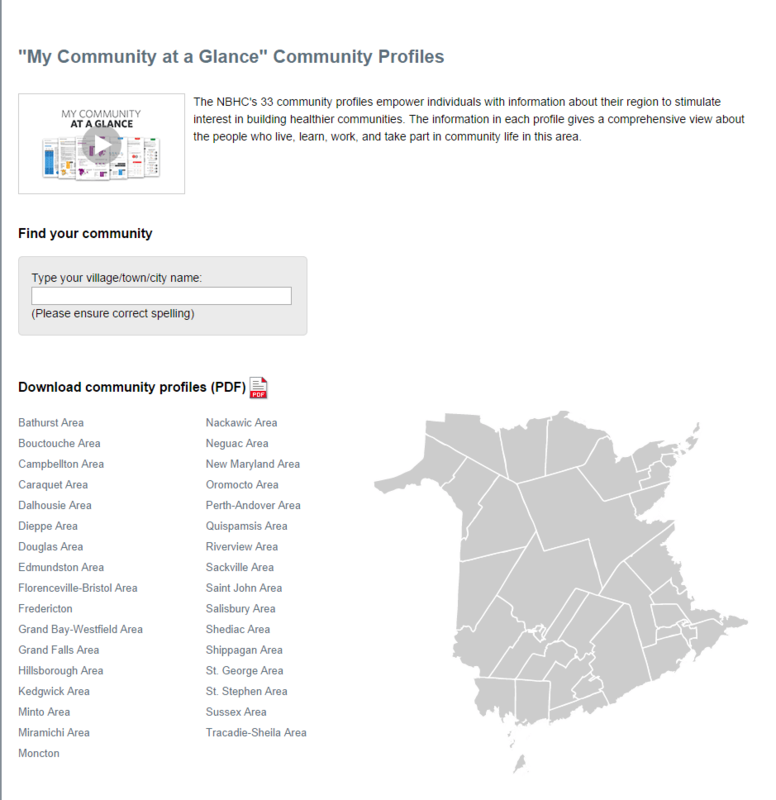 An interactive map of New Brunswick, providing data on health outcomes and determinants to build healthier communities. 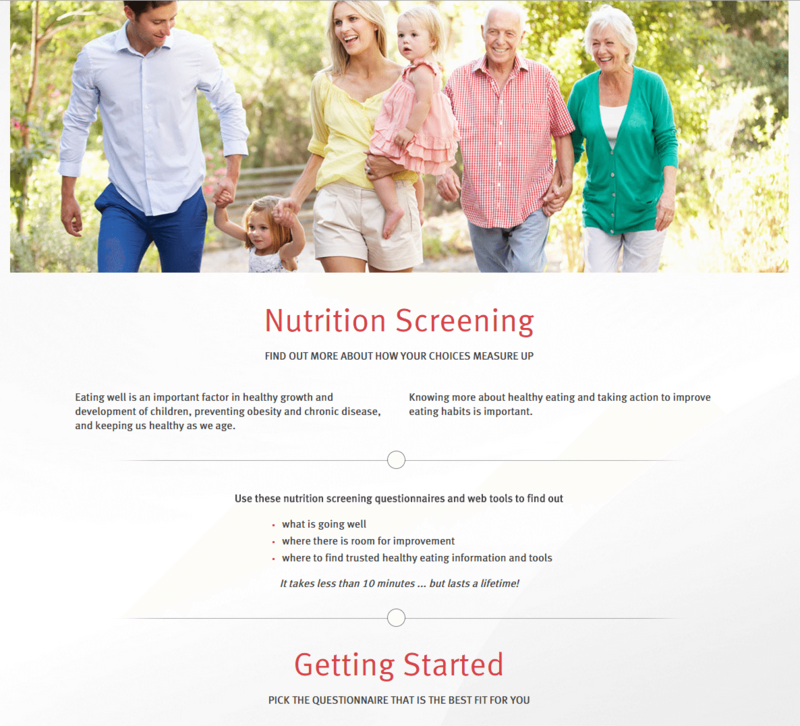 The Population Health Snapshot has been developed to inform New Brunswickers about their health, provincially and by health zone. 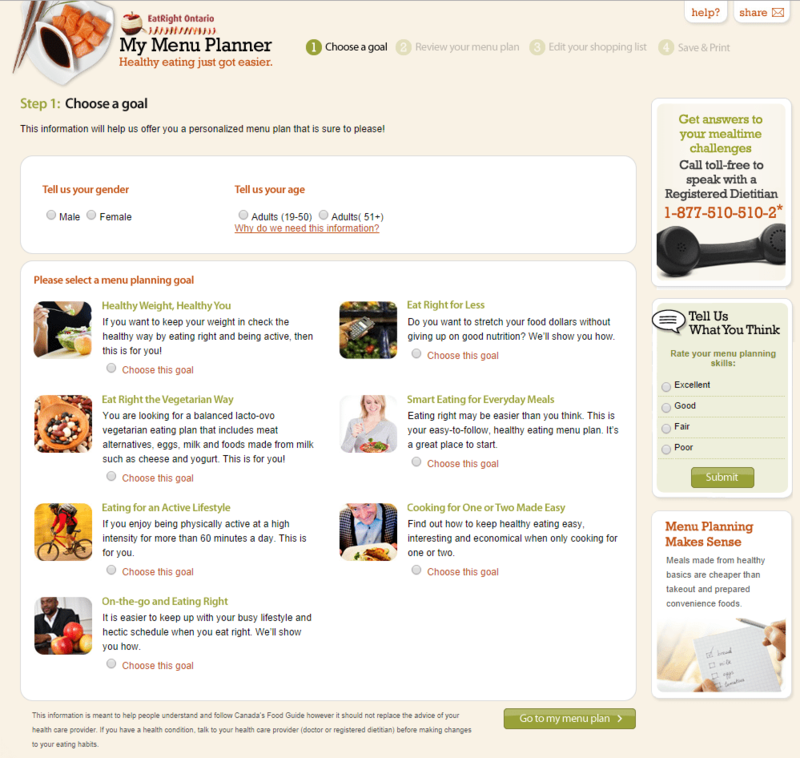 This interactive tool will help you develop a personalized menu-planning package in accordance with your goals: healthy eating tips, a weekly menu plan, shopping lists, seasonal recipes, etc. 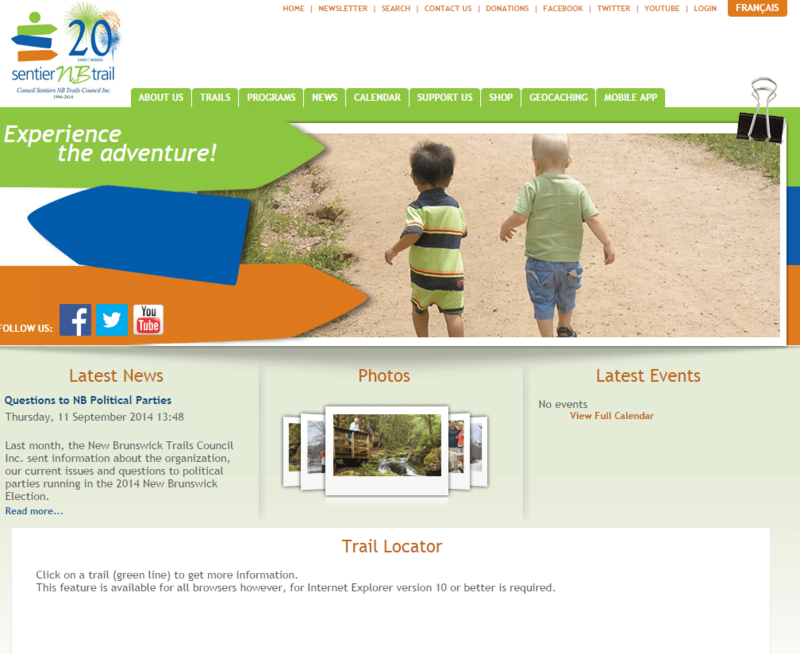 The vision of NBATC is a tobacco-free province. It strives to work collaboratively with stakeholders to change attitudes, behaviours and environments towards tobacco products and their use in order to build support for anti-tobacco initiatives. 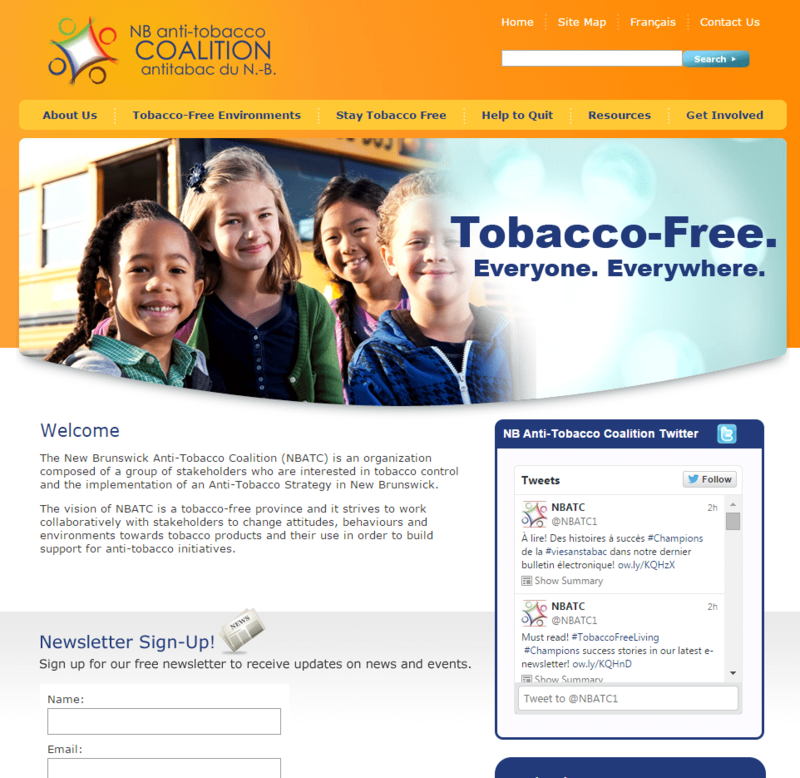 Their website offers information and tools to promote tobacco-free living and help smokers who want to quit. 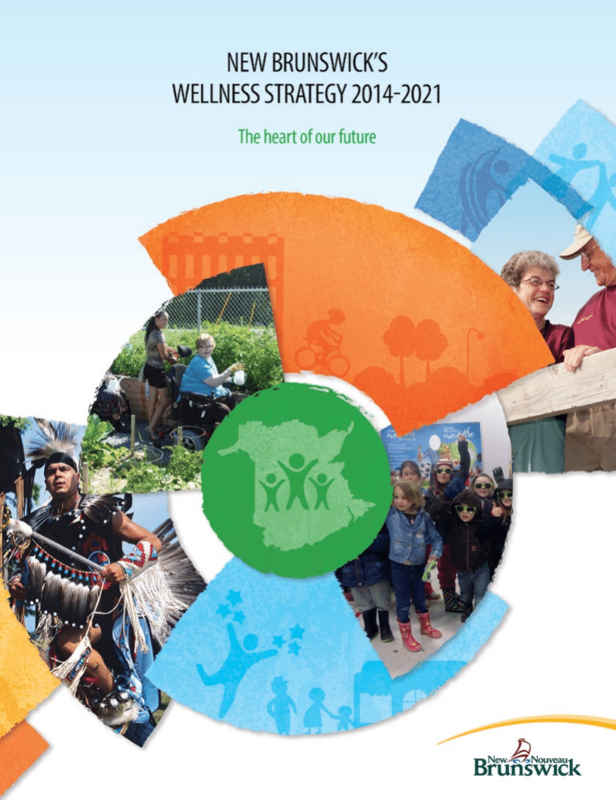 New Brunswick’s Wellness Strategy 2014-2021 provides a framework that will enable any community, school, workplace, organization, family or individual to see how their goals, activities, or mandates are supported by improved wellness, and how they can contribute to enhancing wellness within the province. 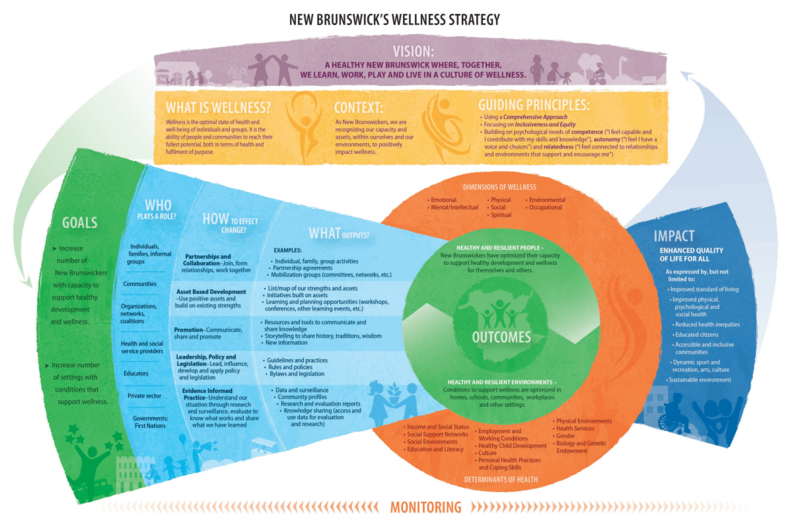 A visual infographic summarizing New Brunswick’s Wellness Strategy, 2014-2021. 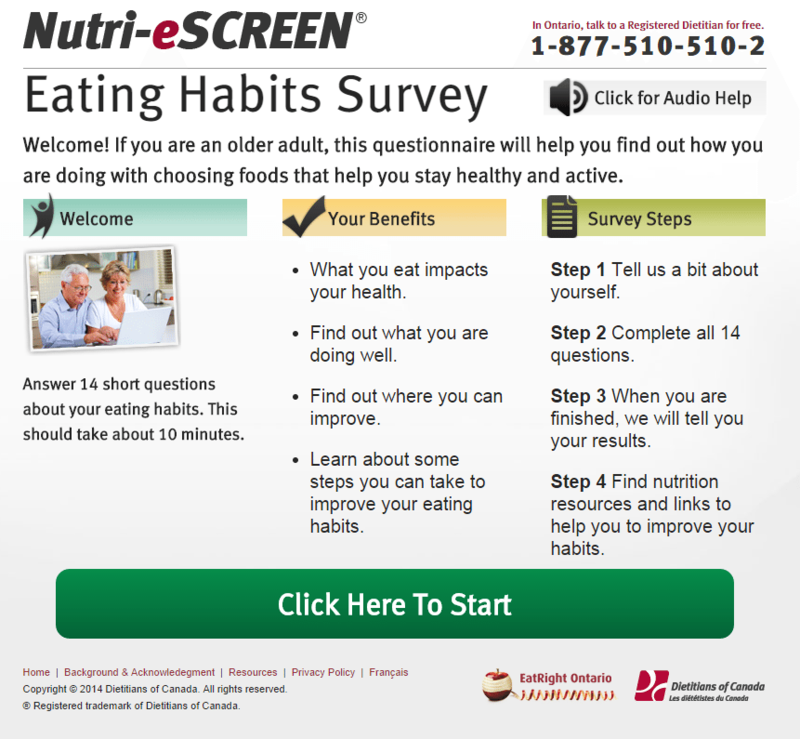 An online eating habits screening tool and accompanying nutrition education designed for older adults. A quick questionnaire helps determine which areas of your diet and habits you are doing well with, and which areas need some improvement, with tips and tools to help you achieve your goals. 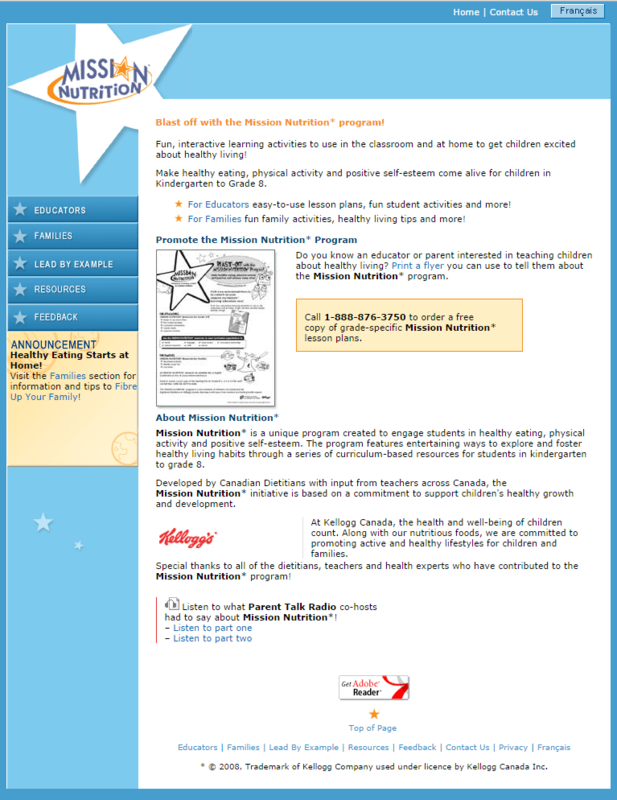 An online eating habits screening tool and accompanying nutrition education designed for parents and caregivers of preschoolers and toddlers. A quick questionnaire helps determine where your child’s diet does and doesn’t need improvement, along with tips and tools to help your child eat better. This guide will give you the information and skills you need to successfully stop smoking. 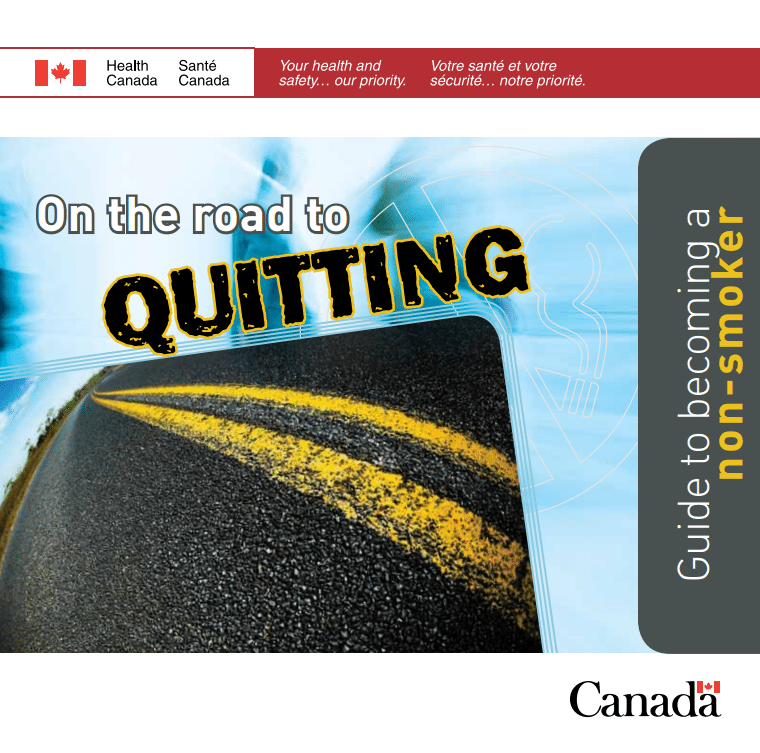 This booklet will help you consider your options, understand what to expect during your quit attempt and learn tips to help you along the way.